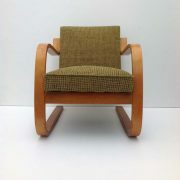 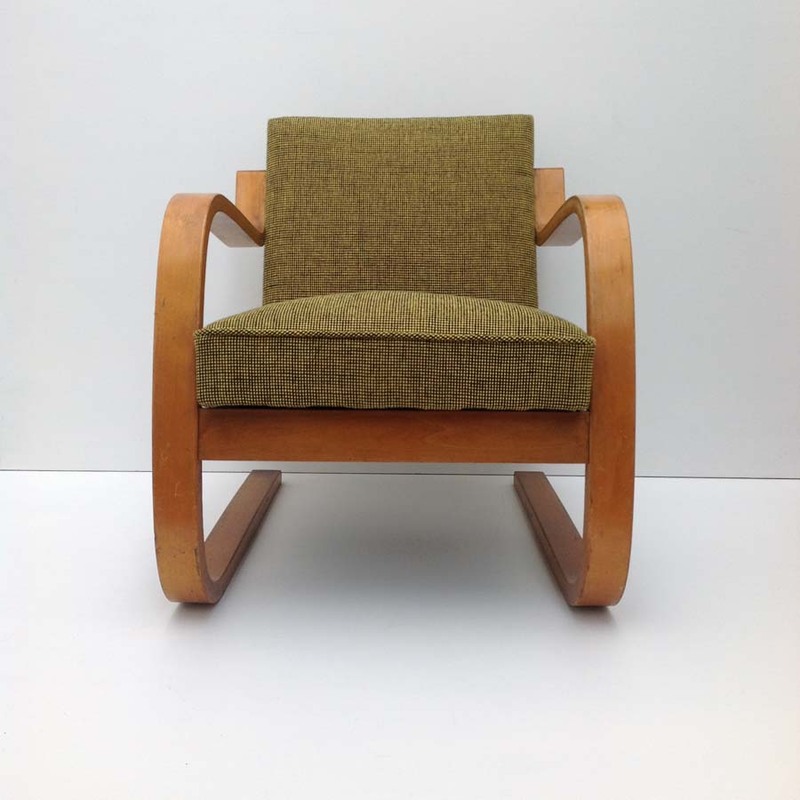 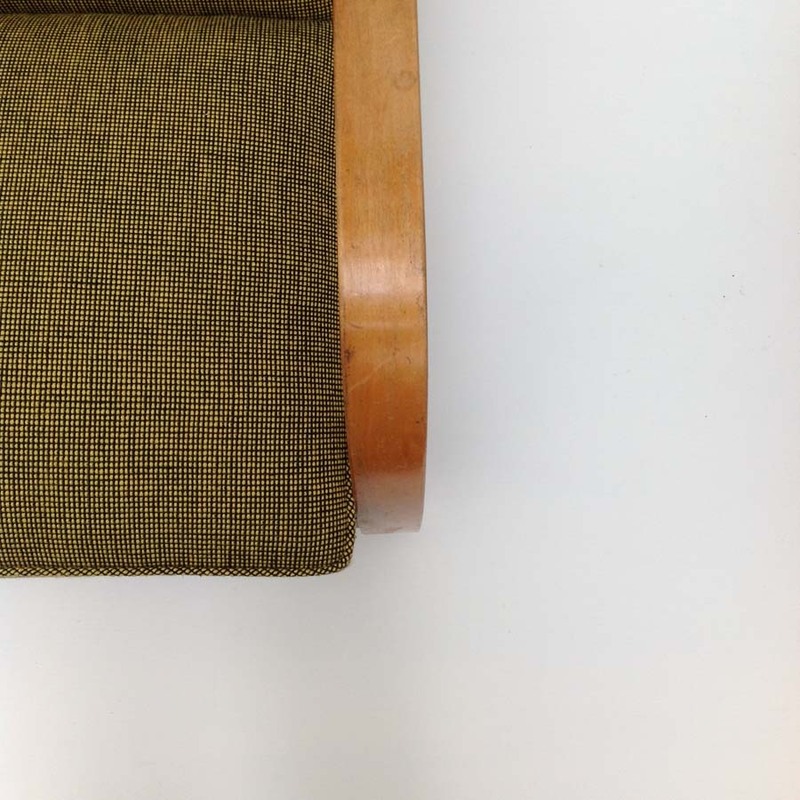 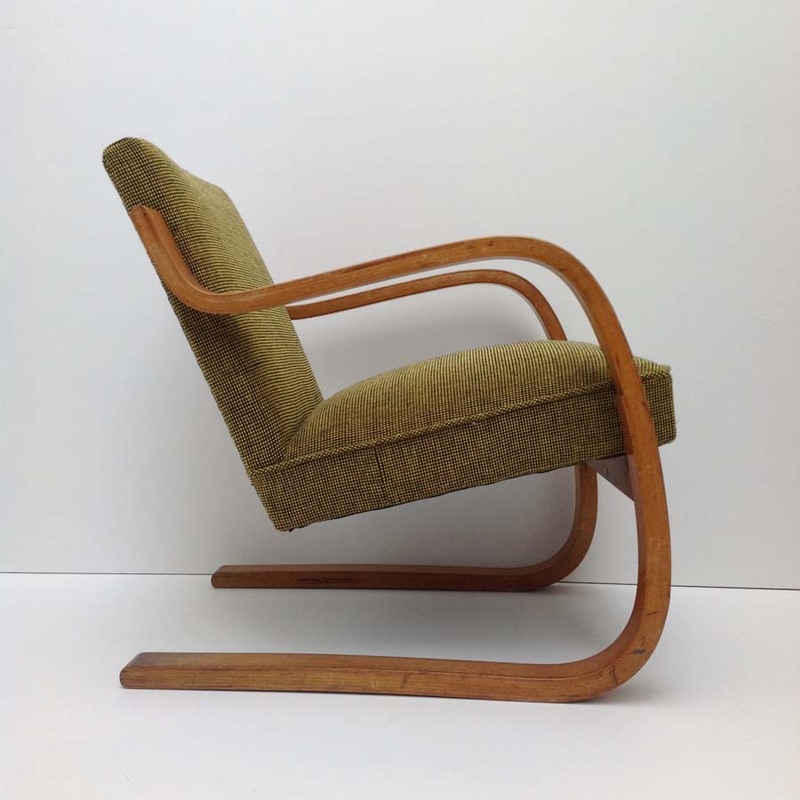 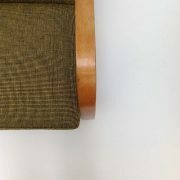 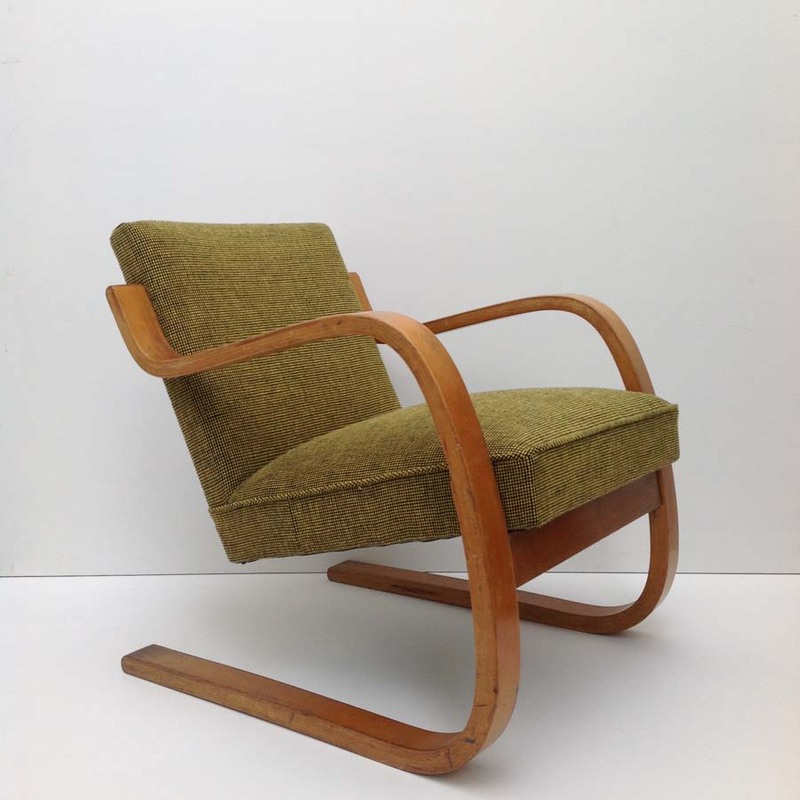 A great original example of one of Aalto’s groundbreaking cantilevered wooden armchairs. This is an early model with golden birch plywood frame with lovely original patina. 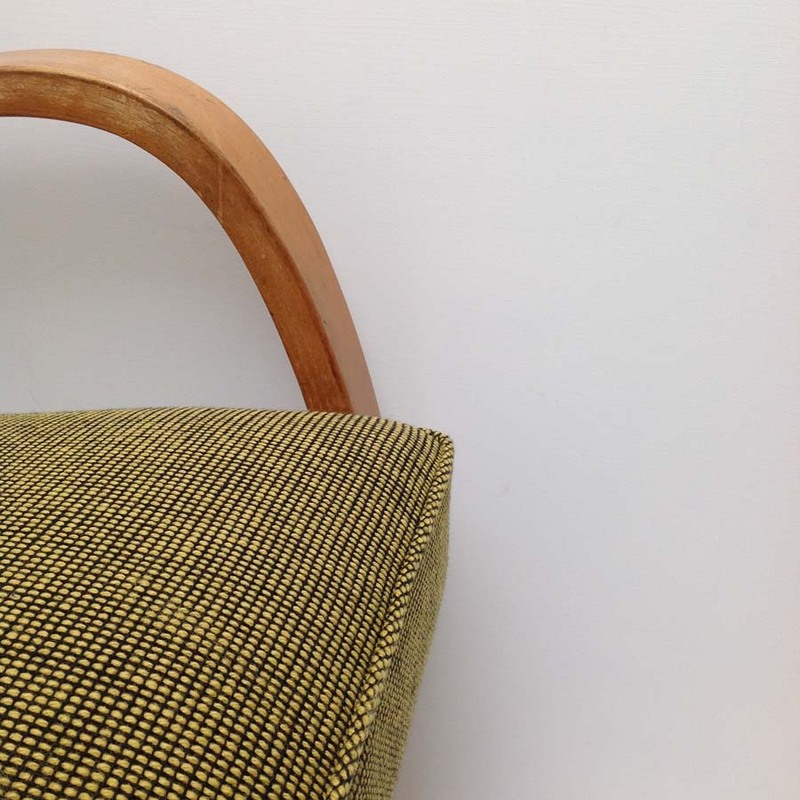 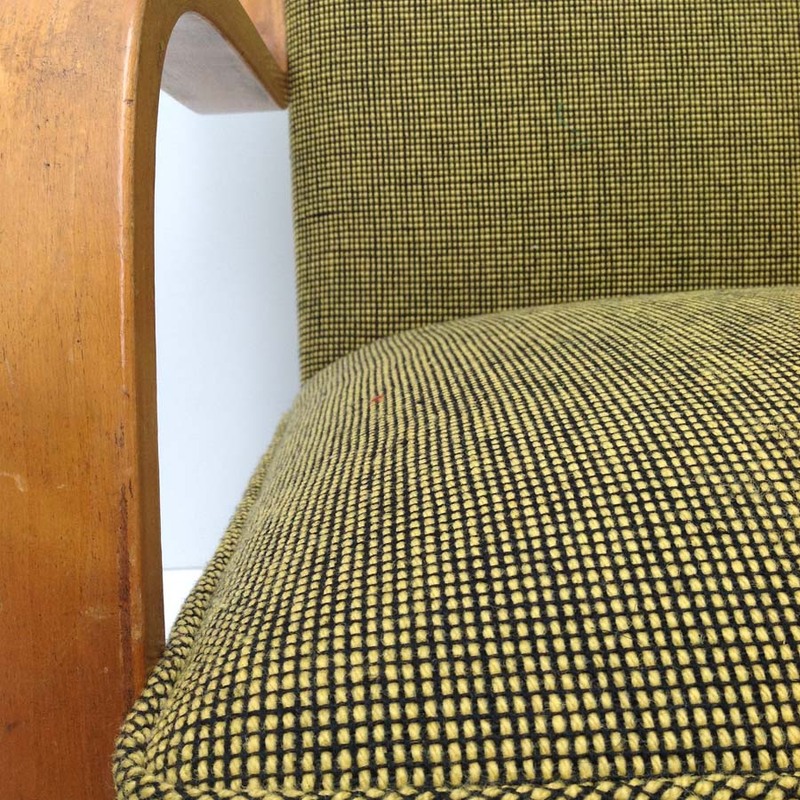 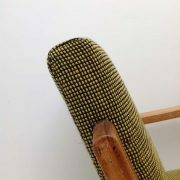 Re-upholstered in Gerd Hay-Edies Mourne Check textile (Gorse). 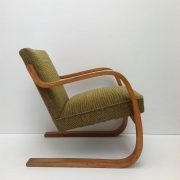 Complete with Finmar ivorine plate. 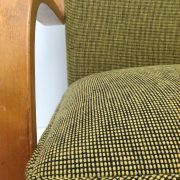 Strong, comfortable and eye catching!